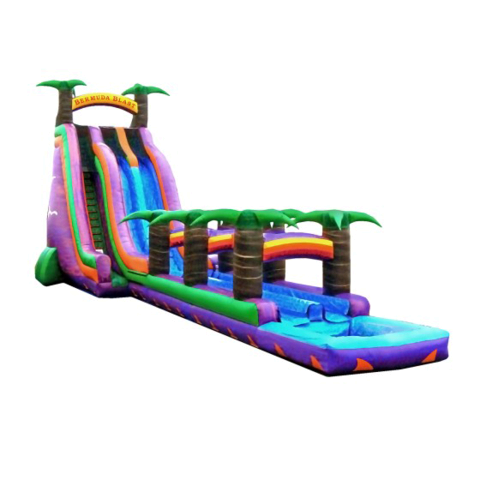 We have added more excitement to our awesome water slide rentals with the addition of our New 27' Bermuda Blast . The Bermuda Blast has an added sudden cascading drop with a hump at the beginning of the slide. We raised the platform height 2 feet taller than our Roaring River waterslide and increased the angle of the drop for an even more exhilirating ride. 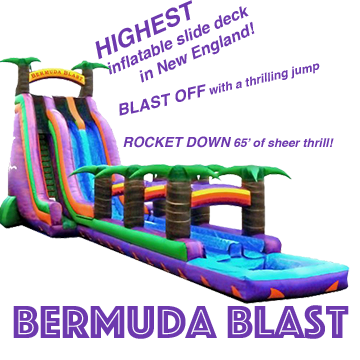 Only available in NH & ME from Blast Party Rentals. We Bring the FUN!